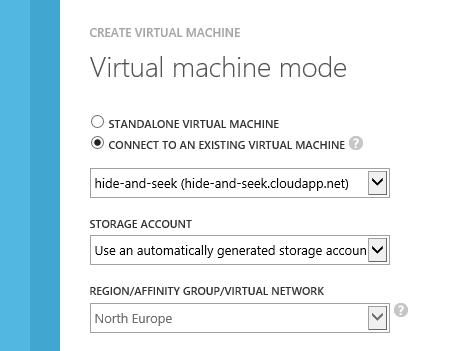 From several conversations I had recently it transpired that there’s some confusion around the relevancy of Cloud Service when using Virtual Machines on Azure. 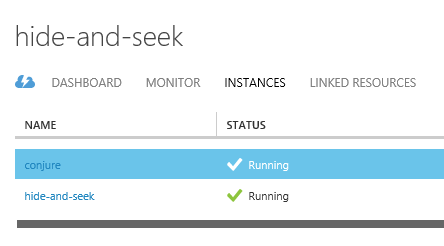 Initially it surprised me, but then it was pointed out to me that, in fact, the Windows Azure Management Portal does a very good job festering this confusion. Ok – there’s plenty behind the scenes that the platform is doing differently when managing VMs vs. Web or Worker roles, but from a deployment model point of view, a cloud service is created with a single instance of a role which happens to be a Virtual Machine. I’m guessing that the thinking was that with a single VM the cloud service is rather irrelevant – conceptually, the role and the instance are one and all the management operations and monitoring are done at an instance level and so – there was no real need to surface the fact that a cloud service exists. It appears largely for one reason – so that it can be deleted; otherwise a phantom service will remain in the subscription with no way to manage it through the UI. And so – given this seemingly erratic behaviour, even if there is some method behind the madness, it is not surprising the people get confused. Personally, I would have much preferred if things were straight forward, black and white – you create a VM, you get the corresponding Cloud Service. Simples.